I have some questions for you. 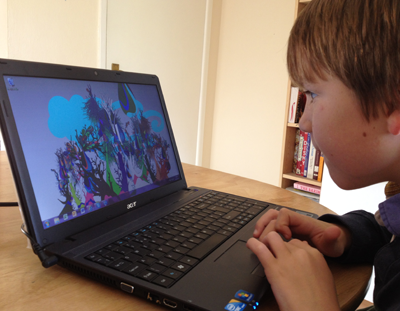 Do you think that internet safety doesn’t apply to you because your children are too young? Do you have computers downstairs and in easily accessible areas of your quarter? Does your child or your children’s friends have smartphones? Do they have social networking accounts to keep in touch with friends from several postings ago? Do they actually know all the people on their friend list? Have you ever played the computer game that they are currently playing? Do you trust pink dragons in online games? This is not supposed to worry you unnecessarily but it should make you think about how your family uses the internet. There are some excellent websites available to help you with online safety. Encourage your children to talk about their digital world with you, and teach your children that what goes online will stay online forever. Flag it – if someone upsets you or asks to meet, then flag it up with someone you trust.